Over the last decade, international development policies, most notably in the UK, have advanced ‘political settlements’ as a framing concept to guide statebuilding practice in fragile and conflict-affected states. Such policies have encouraged efforts towards achieving an inclusive, or inclusive enough, political settlement as a bulwark against instability. The empirical research underpinning the policy dictum, however, is surprisingly thin. This podcast of Sue's presentation will probe the relationship between the character of a post-conflict political settlement and subsequent trajectories of stability or instability through two case studies: Timor-Leste and Bougainville. While there is a headline correlation between an inclusive settlement and stability, and an exclusionary settlement and instability, the processes at work are more nuanced. In these two case studies the proximate drivers of instability, which may be the product of an exclusionary settlement, are serious elite splits and rent restriction. Conversely, elite cooperation and rent sharing support stability. The case studies also highlight several factors that can accentuate or moderate the motivation and capacity of elites to destabilise, and of citizens to fall in behind them. This seminar was presented by the Development Policy Centre in conjunction with The State, Society and Governance in Melanesia (SSGM) program. 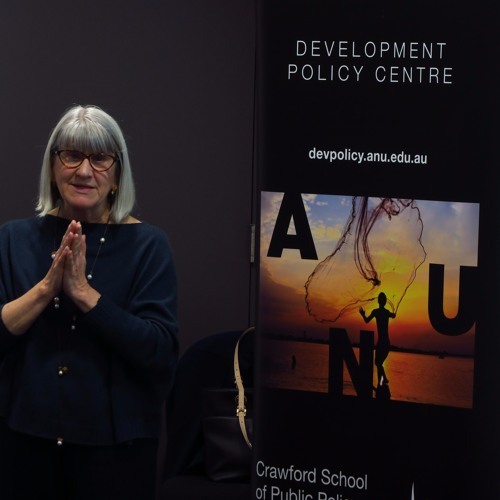 Sue Ingram is an honorary senior policy fellow with the State, Society and Governance in Melanesia (SSGM) program in the College of Asia and the Pacific, the Australian National University.